We aged faster if we're not moving. Basketball has changed my life since I was a country boy lost in a big city when I moved to my grandparents house for studying. From a highschool boy was asked by P. E teacher to practice basketball, my life has changed forever when gradually I enter every class of basketball's world. A player for my district team, went city team, then proudly to play for my country Vietnam. From a boy lost in a sparkling Hochiminh City, to a national athlete, and a doctor of philosophy in sport psychology at the now. Basketball has brought me to many places I have ever dream of, gain a high title in education, and many things more. Currently I am a lecturer at a university, still playing and teaching basketball, it's my wish to paying it forward to children out there for what I am now was all started from basketball. Thanks God. 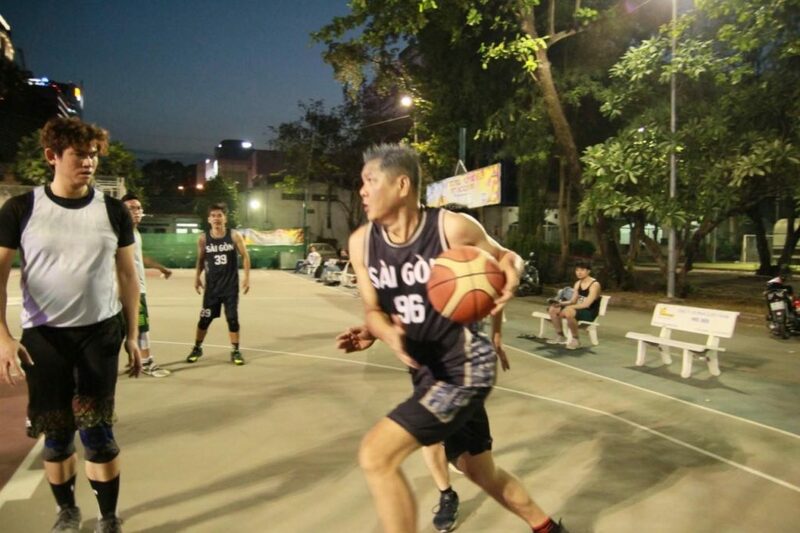 This photo was taken by my friend during a friendship game as I choose basketball to keep fit of my shape, my health, and my mind. Regards.